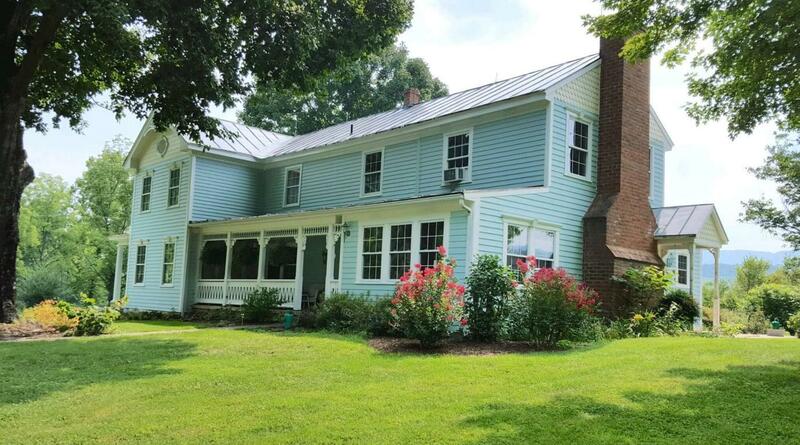 22acres,Peaceful Setting, Stocked Pond,Charming Victorian style farm house overlooking beautiful spring fed pond. Creek, mountain views, pastures, many outbuildings inc. Very large garage/workshop useful for hobbies, cars, etc. This Farm has it all! Home features unique Wrap-around porch, New Redwood painted siding & victorian trim, BRs,LR & Parlor newly restored. New carpet up, painted metal roof & more. Exposed Logs circa 1850; Additions 1900/1976; comfortable kitchen family room with views. One of a kind property!